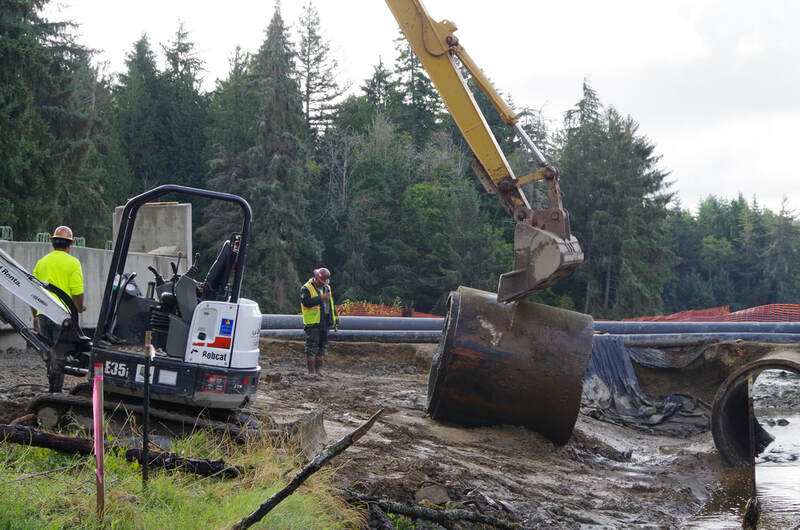 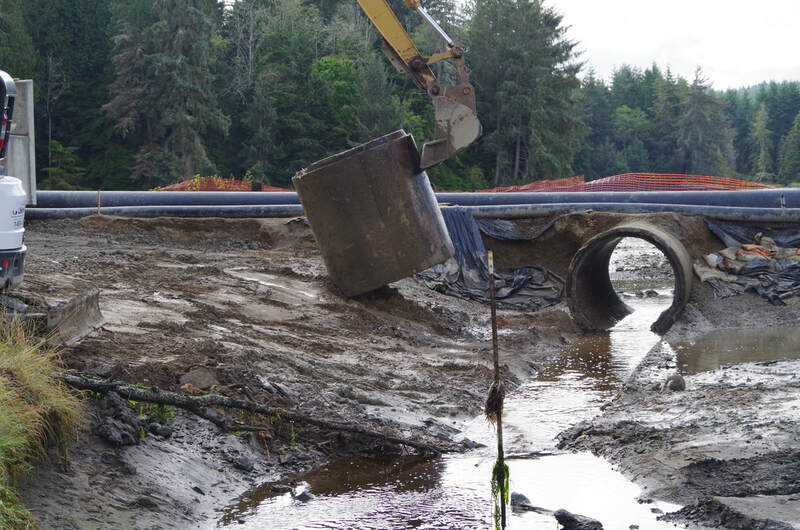 Stillwaters is so very happy and proud to have partnered with Kitsap County, the Suquamish Tribe and the Department of Fish and Wildlife, using mitigation funds from the Navy, to complete a major restoration improvement for our estuary habitat! 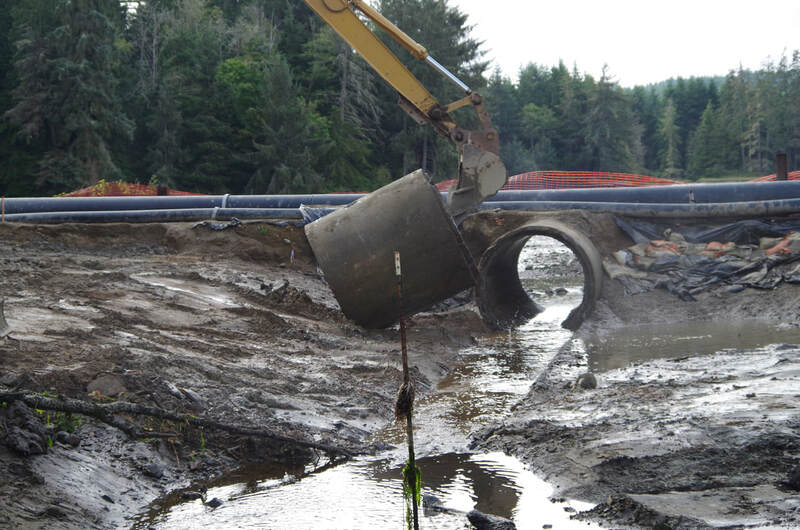 This is the culvert we most wanted to replace - to open up the estuary at the mouth of the salt marsh. 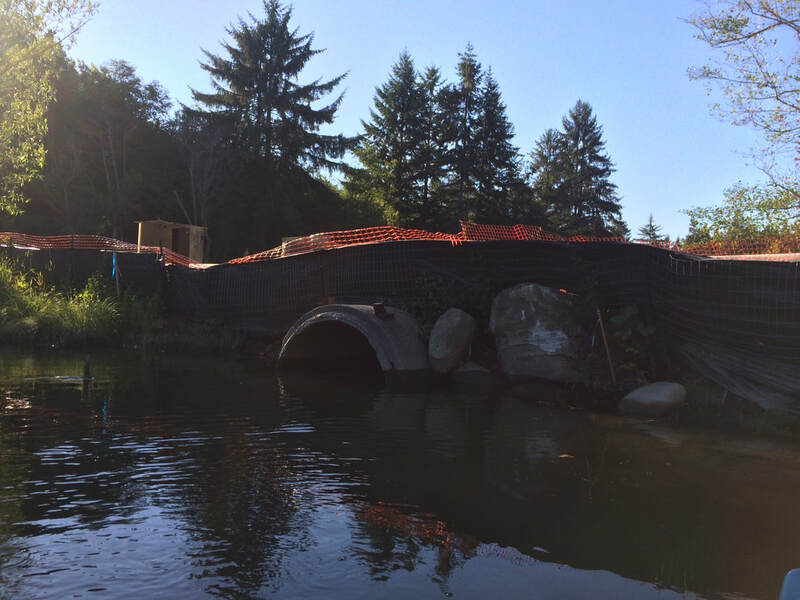 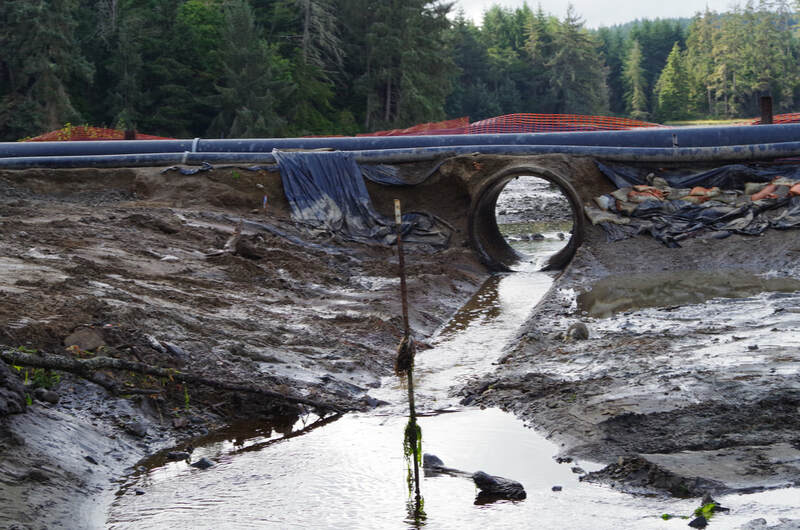 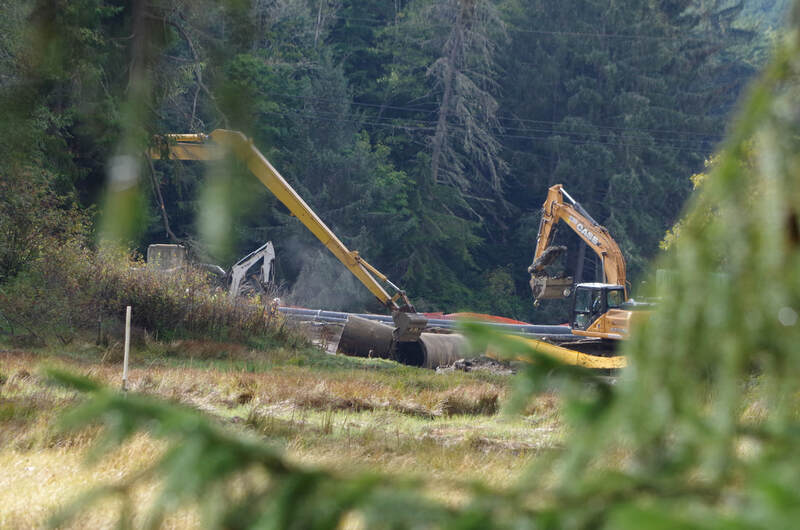 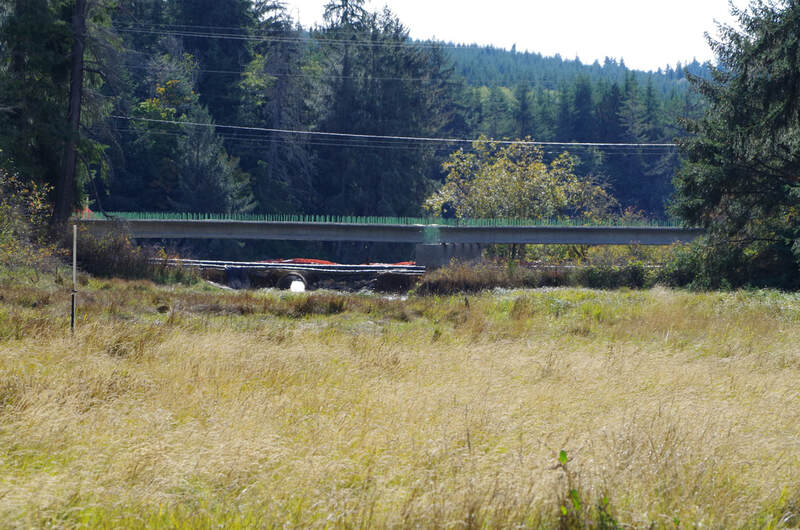 What was a tiny 5 foot culvert has being replaced with a 150 foot span of open estuary. 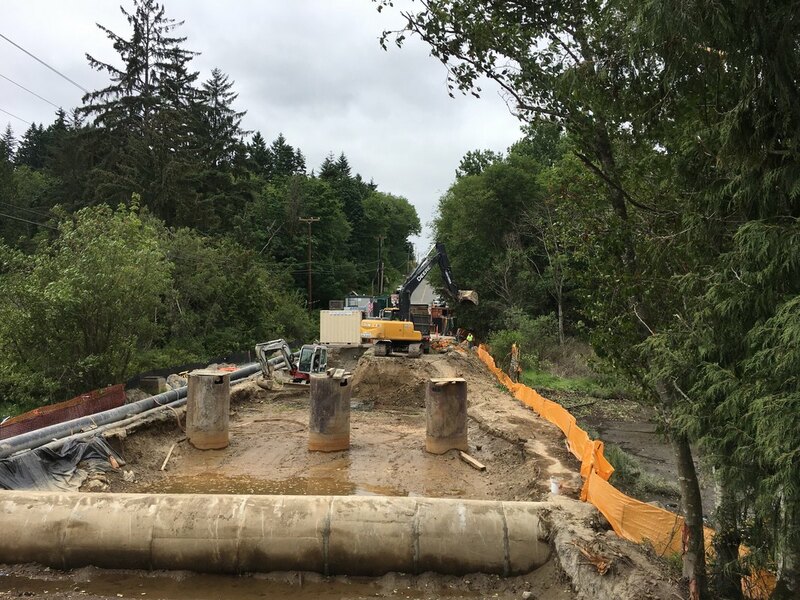 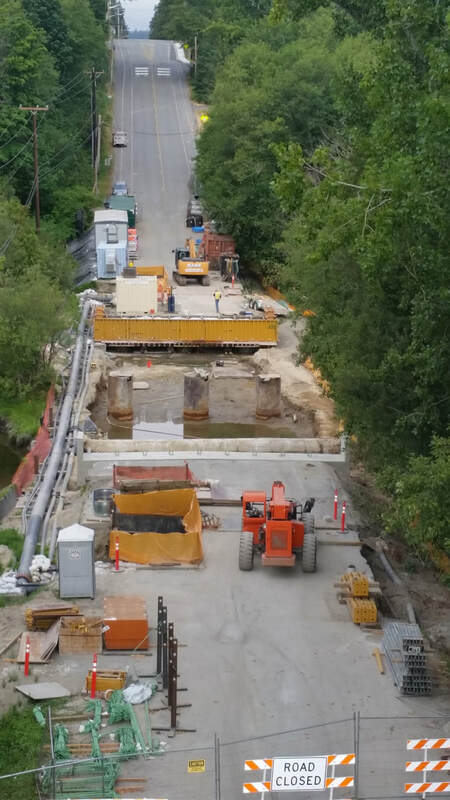 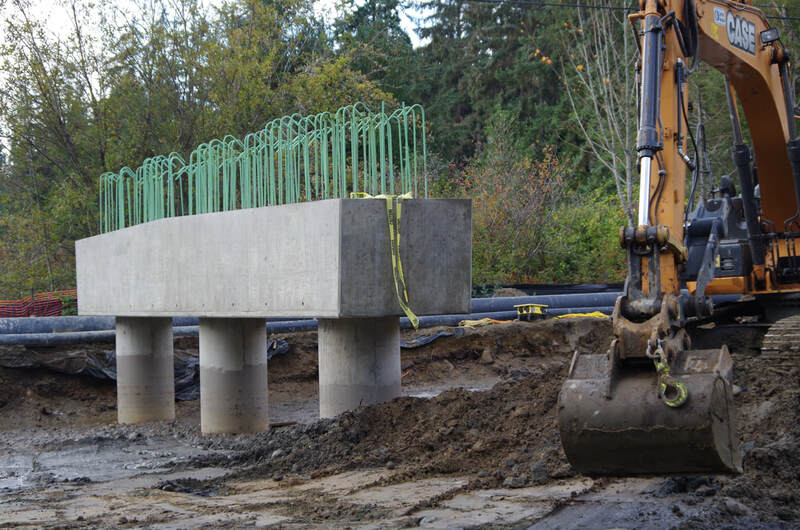 The 150 foot roadbed that was once a giant dike in the middle of pristine estuarine habitat is now a second fish passage span to the community of Kingston. 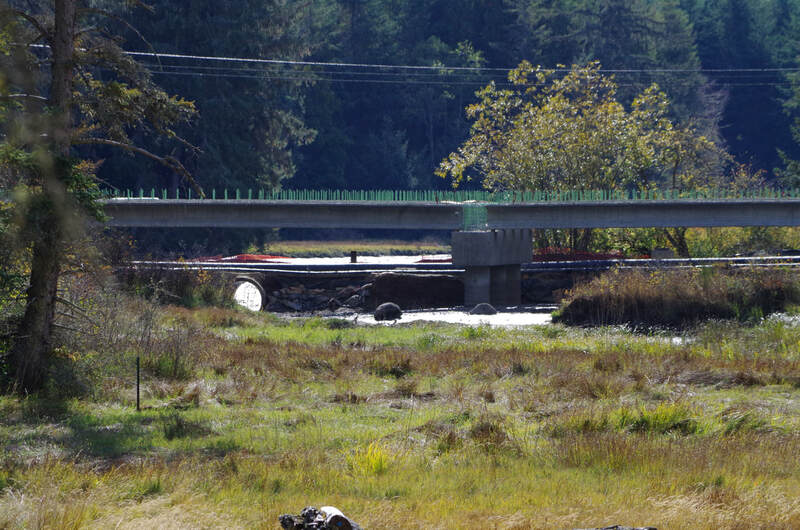 Stay tuned to see what's possible when 6,000 square feet of additional estuary is opened up, with tides flowing freely. 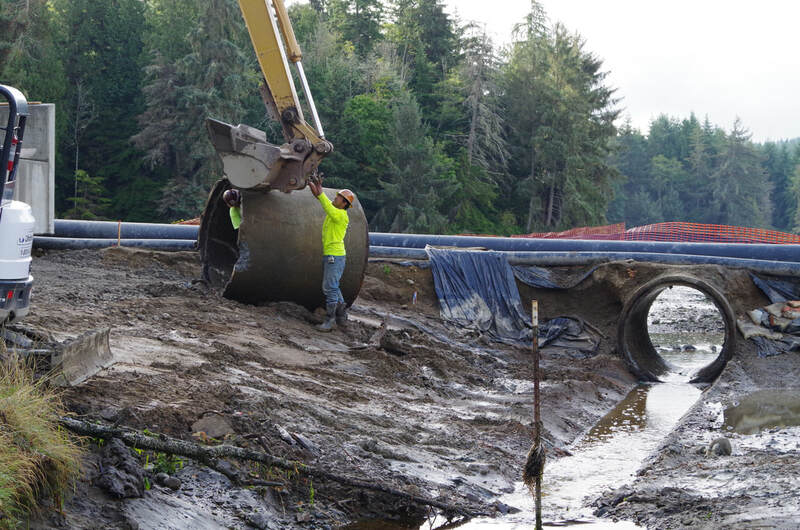 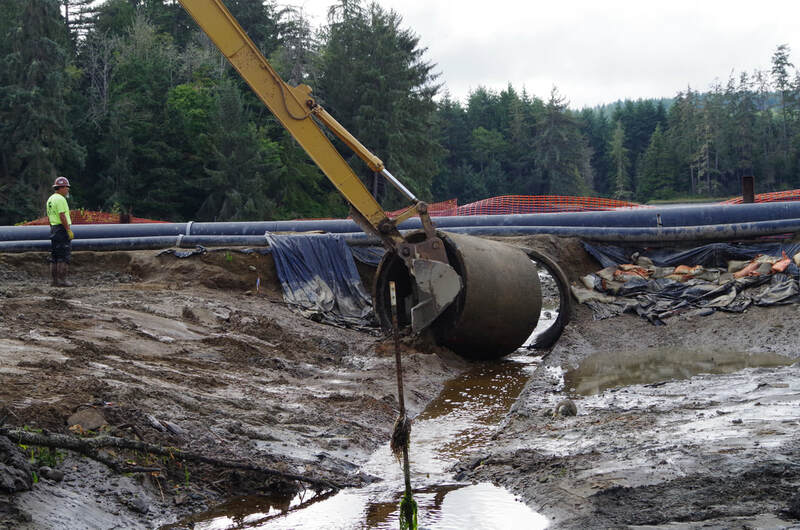 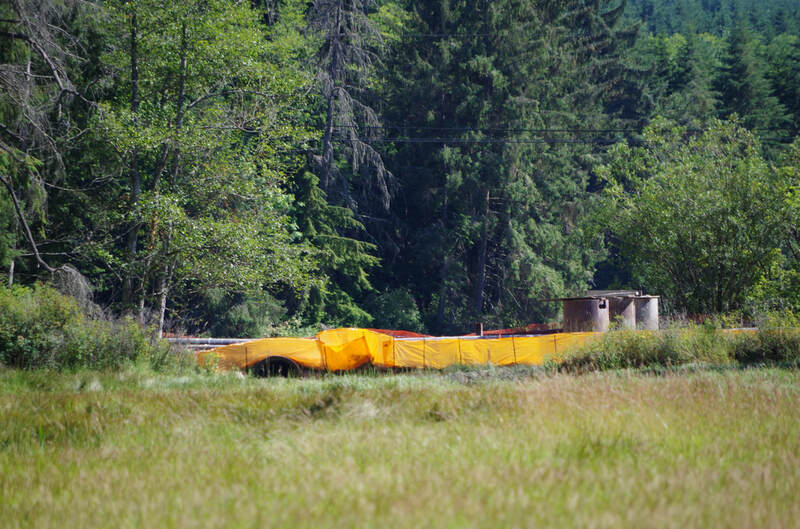 For more project details check out the Kitsap County Public Works website.